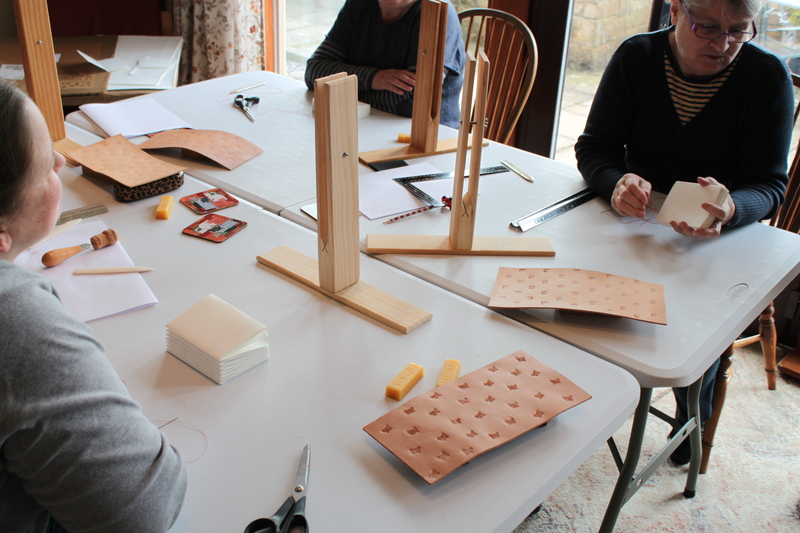 Evancliffe Leathercraft offer a wide range of Leathercraft Training Workshops to suit everyone. For example students can learn to make a Leather Belt, a Hand Bound Leather Journal, a Water Bottle or Learn about Wet Moulding & Stamping amongst other things. 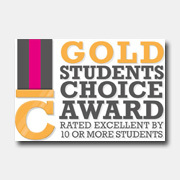 As a part of the learning process the student will often come away with an additional small leather item as well. 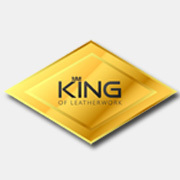 Evancliffe Leathercraft are constantly developing new workshops, so if what you want to make is not on the list, please contact them to discuss the possibilities. Evancliffe Leathercraft‘s training workshops are usually held at Evancliffe Leathercraft‘s Weardale base which has stunning views overlooking Weardale in County Durham. 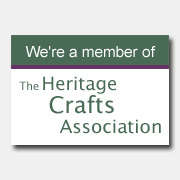 Check out our Leathercraft Workshops page for a list of the workshops currently scheduled. 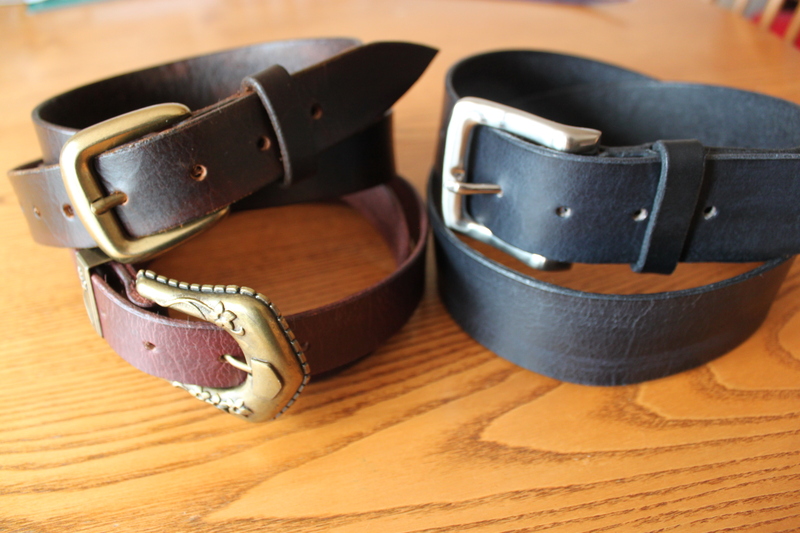 In addition to scheduled workshops, Evancliffe Leathercraft can deliver Bespoke 1-2-1 Workshops. Our 1-2-1 workshops start at £25.00 per hour. 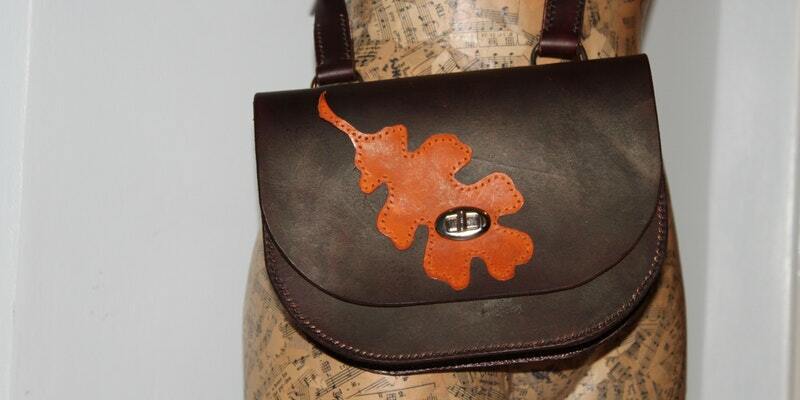 Smaller leather items can be made within that fee but in some cases we will charge an additional cost for materials. We will always advise any additional material costs before the workshop. Wendy’s professional background in Teaching has ensured that Evancliffe Leathercraft’s workshops have been developed with learning in mind. Each Workshops goals are achievable and they can be adapted to suite different learning styles. The workshop runs from 10:00am – 5:030pm on day 1 and 9:00am – 4:30pm on day 2. Learn to make a hand bound leather journal. 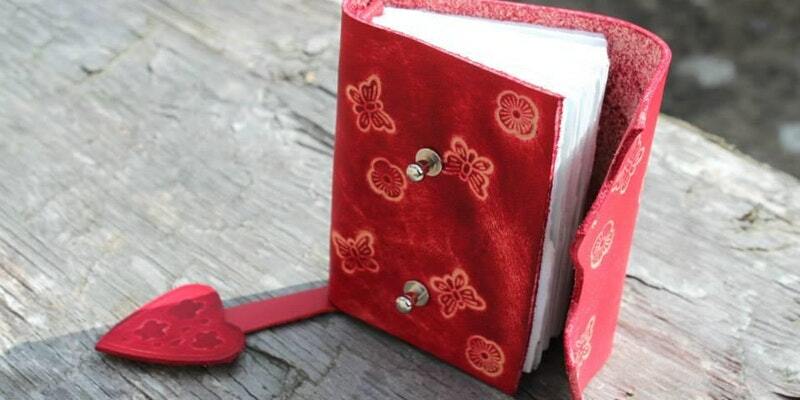 This hands-on workshop will teach you to make a hand bound leather journal from scratch. Starting with a large sheet of paper you’ll be guided through the process of turning it into the individual pages of the journal, binding them together and adding a leather cover as well as a page marker. You will be given the opportunity to dye the veg tan leather to form the cover as well as adding decoration using embossing / stamping it if you wish. The price includes tuition, use of the tools and materials including the leather, paper etc. Closed toe footwear should be worn. If you wish to protect your clothing (from dye etc.) please bring a suitable apron.